Your house isn’t what you’d call a fixer-upper, but it’s not exactly a spring chicken either. 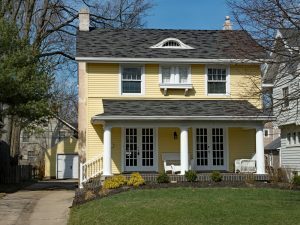 While the fact that a house is over 20 years old should certainly not discourage you from buying it, there are still some things that you should know. Current laws dictate certain regulations in newly-built residences. These include important measures for safety and energy efficiency. While those regulations were fairly steady between the 1970’s and early 2000’s, there have been a lot of changes between 2004 and now. This means that a house built even 15 years ago might not be up to the same standards of safety and energy-efficiency as a new house built in the last 5 years. So, before you sign on the dotted line, make sure that you check for these potential issues with an older house. Plumbing: Plumbing systems can easily deteriorate over time due to shifting ground, damage from tree roots, and corrosion from the soil. If your home is over 20 years, it might be wise to get an in-line inspection before you put your money down. This will help you know what kind of state the pipes are in. Replacing a main line can set you back thousands of dollars. And if the problem isn’t caught before a collapse or disaster, it can cost even more when your home is swamped in backed-up water. Building Materials: There are a few materials that were in common use decades ago which have more recently been found to be very harmful and toxic. The primary things to be concerned about are asbestos (common in households built in the 80’s and earlier) and lead paint (almost ubiquitous in houses built before 1979.) If there are any traces of these materials still in your home, you’ll definitely want to get them removed and replaced with safer materials before moving in. Electrical Wiring: It wasn’t until 1999 that building safety guidelines dictated taking measures to protect against arc-faults, which can cause fires within the walls of your home. Installing an arc-fault breaker can easily help this problem, and while it’s not a huge cost, it will be a few hundred dollars in most cases. Energy Star Rating: Old electronics, inefficient wiring, and bad insulation can all drain a lot more from your monthly utilities than you’d expect. An Energy Star rated home can be twice as efficient as an old one. That’s the difference between $200 each month for electricity and $100. If your house is older, look into what it would take to get an Energy Star Rating, and which fixes will give you the most bang for your buck. Furnace: Furnaces can actually last decades, but most professionals recommend replacing it every 10-20 years. If your house is 20 years old, it’s possible that the old furnace has never been replaced, and you could have a thousand-dollar fix on your hands within the next couple years. If this is the case, you’ll want to use this as a bargaining chip while working out the final cost of the house. Roof: A roof, likewise, can be a big expenditure that you won’t anticipate until you get homeowner’s insurance. Some insurance providers won’t even insure a roof that’s over 15 years old, and so you’ll need to get it replaced ASAP for a couple thousand dollars.